Edward Lee WALKER [Parents] was born on 24 Sep 1900 in Center, Indian Territory, Pontotoc, Oklahoma. He died on 9 Dec 1964. Edward married Lona S. WHEAT on 7 Aug 1918. Lona S. WHEAT was born on 5 Dec 1900 in Mills, Precinct 1, Texas. She died on 25 Oct 1922. Lona married Edward Lee WALKER on 7 Aug 1918. Doyle Lee WALKER was born on 13 Jun 1919 in , , Oklahoma. He died on 2 Oct 1991 in Humbolt, California. Edward Lee WALKER [Parents] was born on 24 Sep 1900 in Center, Indian Territory, Pontotoc, Oklahoma. He died on 9 Dec 1964. Edward married Sidney T. KEEL. Sidney T. KEEL was born on 27 Aug 1898 in , Brown, Texas. She died on 25 Dec 1993 in Morristown, Maricopa, Arizona. Sidney married Edward Lee WALKER. F i Edivene Duriel WALKER was born on 29 Jan 1924. She died on 5 Sep 1976. William Crosby "Willie" PAYNE was born on 10 Apr 1905 in Indian Territory, Midland, Pontotoc, Oklahoma. He died on 28 Dec 1979 in Donna, Hidalgo, Texas. William married Beulah Estelle WALKER on 12 Apr 1927 in I. T., 10-612. Beulah Estelle WALKER [Parents] was born on 22 Jul 1904 in Indian Territory, Vanoss, Pontotoc, Oklahoma. She died on 26 Mar 1982 in Donna, Hidalgo, Texas. Beulah married William Crosby "Willie" PAYNE on 12 Apr 1927 in I. T., 10-612. Lonnie Jackson WALKER [Parents] was born on 8 Jan 1908 in Vanoss, Pontotoc, Oklahoma. He died on 18 Jul 1958. Lonnie married Anna Hazel WALKUP. Anna Hazel WALKUP was born on 14 Jul 1912 in Page, Le Flore, Oklahoma. She died on 20 Mar 2008 in Peoria, Maricopa, Arizona. Anna married Lonnie Jackson WALKER. Richard Alexander BARROW [Parents] was born on 8 Mar 1943 in Anniston, Calhoun, Alabama. Richard married Edelmia LARA. Edelmia LARA. Edelmia married Richard Alexander BARROW. Lisa Marie BARROW was born on 24 Oct 1964. Madeline Ann BARROW was born on 5 Mar 1966. William Edward BARROW was born on 8 Jun 1967. Rachael D'Ann BARROW was born on 29 Sep 1972. Dennis Newton ANDREWS [Parents] was born in Feb 1879 in , Conway, Arkansas. He died in 1930. Dennis married Rosalia "Rosetta" ROBERTS. Rosalia "Rosetta" ROBERTS [Parents] was born on 13 Jul 1886 in , Conway, Arkansas. She died on 2 Feb 1975 in Morrilton, Conway, Arkansas. She was buried on 5 Feb 1975 in Robertsville Cemetery, Conway, Arkansas. 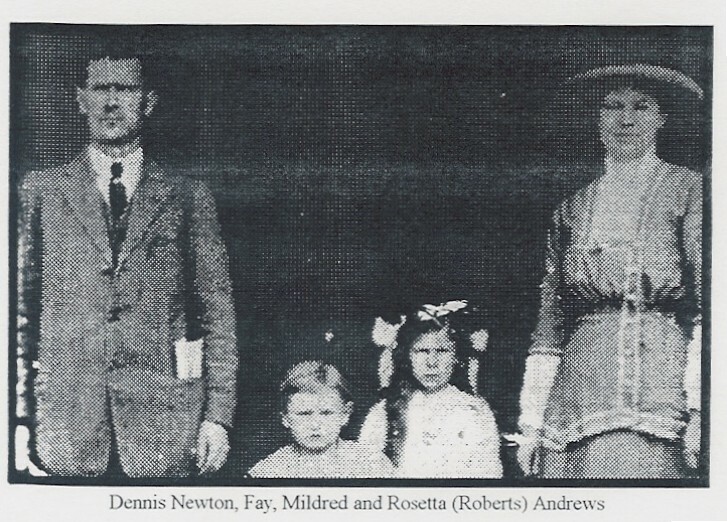 Rosalia married Dennis Newton ANDREWS. Mildred ANDREWS was born in 1907 in , Conway, Arkansas. Fay ANDREWS was born in 1909 in , Conway, Arkansas. Jay ANDREWS was born in 1910 in , Conway, Arkansas. 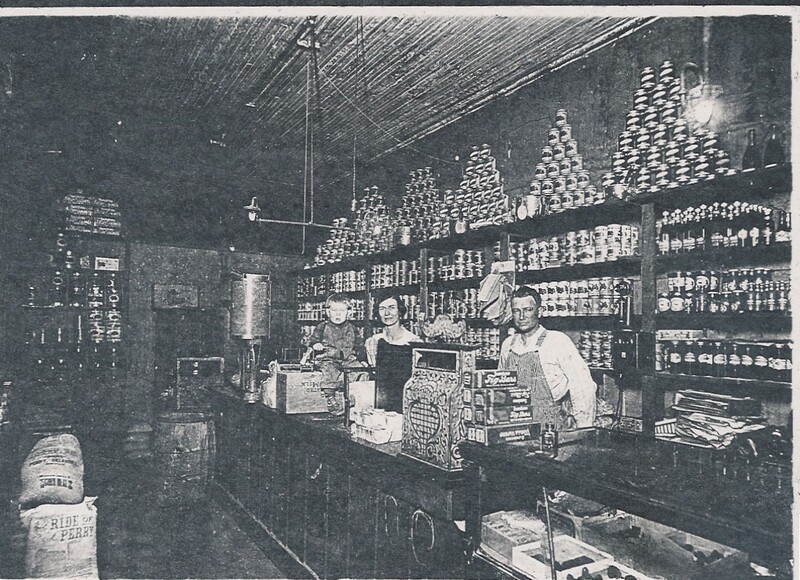 Robert Edward Lee MADDOX [Parents] was born on 12 Apr 1867 in Van Alstyne, Grayson, Texas. He died in Sep 1948. Robert married Josie Bradshaw ROUTH on 20 Apr 1898 in Ballanger, Runnels, Texas. Josie Bradshaw ROUTH [Parents] was born on 24 Nov 1874 in Plum Grove, Fayette, Texas. She died on 21 Apr 1898 in Ballanger, Runnels, Texas. She was buried in Evergreen Cemetery, Ballinger, Runnels, Texas. Josie married Robert Edward Lee MADDOX on 20 Apr 1898 in Ballanger, Runnels, Texas. Joseph William MADDOX was born on 29 Jul 1899 in Ballinger, Runnels, Texas. He died on 25 Apr 1904 in Ballanger, Runnels, Texas. Henry BEARD was born on 5 Jan 1775 in , , Tennessee. He died on 6 Dec 1872 in , , Alabama. Henry married Harriett PAPIZAN. Harriett PAPIZAN [Parents] was born in 1801 in , Albany, New York. She died on 15 Dec 1877 in , Walker, Alabama. She was buried in Hopewell Baptist Church Cemetery, Fayette, Alabama. Harriett married Henry BEARD. Benjamin Voltaire "Walter" PAPIZAN [Parents] was born in 1814 in , , Tennessee. He died in 1891 in , Fayette, Alabama. Benjamin married Elizabeth "Betsy" BLACK in 1838 in , , Alabama. Elizabeth "Betsy" BLACK [Parents] was born on 16 Jan 1822 in , , South Carolina. She died in 1897 in , Fayette, Alabama. Elizabeth married Benjamin Voltaire "Walter" PAPIZAN in 1838 in , , Alabama. M i Robert Franklin PAPIZAN was born on 3 May 1839. He died on 10 Aug 1897. Benjamin L. PAPIZAN was born about 1840 in , Fayette, Alabama. He died on 14 Sep 1862 in , , Maryland from Civil War Casualty. M iii John Montgomery PAPIZAN was born on 2 Nov 1843. He died on 14 Mar 1918. M iv Thomas Jacob PAPIZAN was born on 15 Mar 1846. He died on 18 Apr 1915. M v Walter Jefferson PAPIZAN was born about 1848. Delilah Jane PAPIZAN was born in 1850 in , , Alabama. She died on 23 Jan 1925 in , Tuscaloosa, Alabama. She was buried in Bryce Hospital Cemetery, , Alabama. Lewis Clark PAPIZAN was born in 1851 in , Fayette, Alabama. He died on 15 May 1924 in , Fayette, Alabama. F viii Mary Elizabeth "Polly" PAPIZAN was born on 24 Nov 1855. She died on 31 Dec 1935. M ix Isaac Newton PAPIZAN was born on 22 Sep 1858. He died on 23 Jan 1933. John Fleetwood PAPIZAN was born in 1862 in , Fayette, Alabama. M xi Joseph Anderson "Joe" PAPIZAN "Sr" was born in Dec 1864. He died on 23 Jan 1925. Rev. Chapman Edmund HOPSON [Parents] was born in 1810 in , Perry, Alabama. He died in , Tuscaloosa, Alabama. Chapman married Diannah Orana Lefre PAPIZAN on 18 Nov 1830 in , Tuscaloosa, Alabama. Diannah Orana Lefre PAPIZAN [Parents] was born in 1811 in , , Tennessee. She died in 1862 in , Winston, Alabama. Diannah married Rev. Chapman Edmund HOPSON on 18 Nov 1830 in , Tuscaloosa, Alabama. Isaac Isaiah HOPSON was born about 1831 in , Tuscaloosa, Alabama.